ASK ABOUT OUR CLEANING SERVICE ALSO. Ensure a successful move with quality loading services and unloading services from ABOUT THE MOVE. Our team of movers care about you and your precious cargo, therefore we treat your things as if they were our own. Most of the time we can handle your full move for the same, if not, close to the cost as a Do-it-yourself. Sometimes its worth paying a little more than to deal with the headache of doing it yourself. 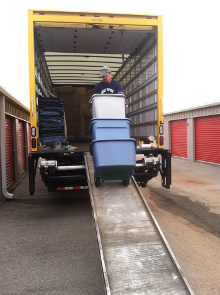 When it comes to unloading your things from a truck or a pod, you might want unloading services that beat all the rest. You have to be careful when unloading, because sometimes if the trip was a rough ride or the items were not loaded correctly there could have been some shifting around, and just pulling things out without attention could cause a disaster. When providing our unloading services make sure that there is a helper there to assist because sometimes you need more than two hands. The unloading process is faster than the loading unless there are obstacles that arise, such as long carry or multi-levels. 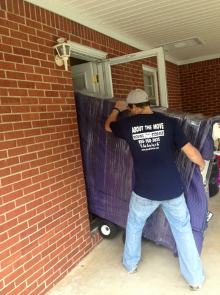 Call ABOUT THE MOVE Moving Services for the moving help you need with an exceptional unloading service. Let our expert moving help do all the work and save yourself the stress, your back, and your wallet. Avoid the hassle all the way around and let ABOUT THE MOVE Moving and Storage carry out your whole move to make your life easier. If you had a tenant, who was evicted and left their stuff behind, call on the professionals at ABOUT THE MOVE Moving Services to move it for you. Our team will take it to any junkyard, landfill, or wherever it needs to go. Additionally, if you have furniture donations, our team will pick it up from your location and take it to your local donation site. Contact our moving company serving Alabama, Tennesse, and Mississippi to enjoy secure and helpful loading and unloading services.